Come To A FREE Monthly Mini Model Build At The LEGO Store. Build a cool LEGO mini model every month, and take it home – for FREE! 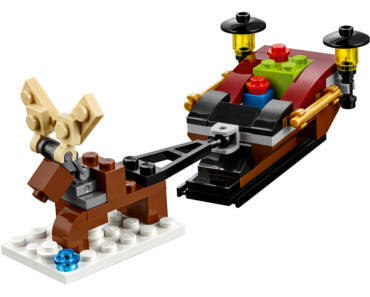 Next LEGO Mini Model Build is LEGO Reindeer Sleigh. Sign up for Tuesday, December 4 or Wednesday, December 5 event. Spaces are limited for each store, so don’t wait! The monthly mini model build events are only open to registered LEGO VIP members. Not a VIP? It’s easy and free to sign up! Just visit a LEGO Store and ask a Brick Specialist how to sign up at checkout, or click here to sign up online.